How does one find the source of their personhood? 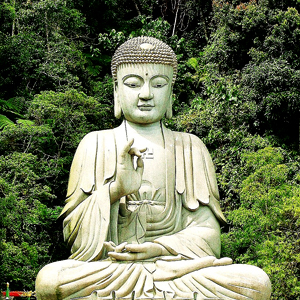 Here I am 15 days into my Metta year and I must say that it has been really interesting so far! I have found it extremely hard to conjure up feelings of lovingkindness towards myself, I hadn’t realized how much I have been conditioned to judge and criticize myself. It is not so easy to truly wish oneself happiness, kindness, and love; so I have taken matters into my own hands to hopefully get to the bottom of this difficulty. I must have been conditioned to a certain degree to feel this way, I mean, we are all conditioned to a large extend by our upbringing and the time in which we live. I have also been returning to my first loves that have been crucial in developing the person that is me; listening to a lot of ska music, and most importantly returning to my mentor, Albert Camus, reading his writings and reading about his philosophical life. I have always connected to Camus at a very deep level; the first time that I read The Plague in high school for a class project, I felt that I had finally opened my eyes. I would love to have never read Camus to simply relive that moment; letting his words and ideas wash over me, not being able to put the book down, living moments of pure epiphany, Albert Camus has helped and guided me in life. I truly respect him for a simple reason, he lived his philosophy until the day that he died, he was true to his word and most importantly heart. Most people remember him because of the famous fight that he had with Sartre and the discovery of the Soviet work camps and later on about the war in his native Algeria. This debate made such a great man doubt his place in the St-Germain world, but he never doubted his heart and what he saw as being true. I could go on about this public falling apart that occurred, but I find that what is most important is to examine what made Camus such a strong voice against capital punishment, dictatorships, terrorism, and other forms of what he considered to be legal crimes. Camus never go to know his father, Lucien Camus was killed during the First World War when Camus was only eight months old. He was left to be raised by his mother who was half deft and mainly moot (she was able to carry very basic conversations but nothing more), she also was a big influence on his life and his relationship to the working class of Algeria. The greatest legacy that his father left him was Camus’s eternal search for justice in the world around him. There are a couple of events that happened in his life that triggered this search, this was born out of stern reflection caused by intense surges of emotions based on certain links made by the young Camus in relation his past and father. The first and maybe the most famous is the story that his mother once told him about his father Lucien witnessing the execution of a fellow countryman one morning in Alger before he was born. The first time that I heard this story was in his powerful essay Reflections on the Guillotine, Camus has always been a strong advocate against capital punishment and I think that it was born from this event. In 1914 a man was condemned for killing his landlord and his three children, the victims were mutilated, disfigured and killed with a hammer. It is said that the room in which the murder happened was covered in blood up to the ceiling. One of the children that hide under the bed wrote the murderer’s name with his blood on the wall just before dying. The murderer was then found in the next town and brought back to be judged and condemned to death, Lucien Camus found that the punishment matched the crime. Lucien thus went to witness the death by guillotine of this criminal, saw him get tied to a wooden plank and then placed under the blade to have his head cut off his body; it is said that the head hit the ground and about six liters of blood poured out of the body. This is what people called justice, blood and murder being answered by blood and murder. Lucien Camus would have come back home that day and never spoke of what he saw, he did however become physically ill because of what he saw. 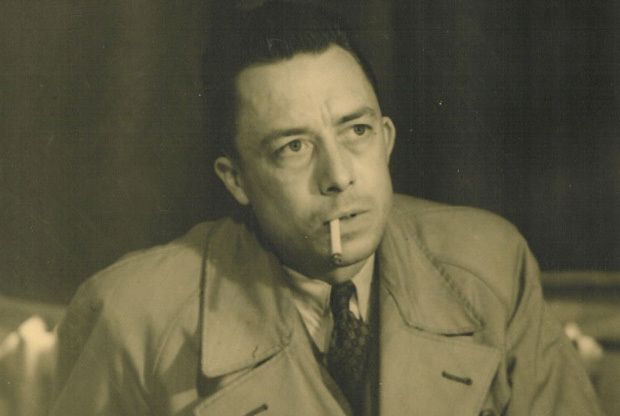 This story really marked Camus, his father’s reaction (who was a strong supporter of the death penalty) made him realize that what was done that day was not justice by revenge. His second lesson from his father was thanks to his school teacher, Louis Germain, who would read sections of Croix de Bois in class. With this book Camus was able to discover life on the front, in the trenches, the world where his father lost his life. It might be coincidence, but the world of this book coincides with his world, this book allows Camus to discover and know the world of his father. It helps to explain to this young boy what happened to his father and why he ended up like he did. 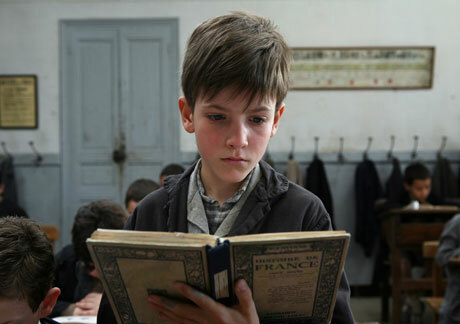 When Mr Germain read the last lines of the text he looked at the class to see the children in a stupor, they are all witnessing the world of their fathers, uncles and others; Camus discovers the world of his enigmas. Camus cries and the realizations that he experiences in relation to his father and his death; many years later Camus saw Mr Germain who gave him the book, Camus refuses the gift saying that it was not his book to which Mr Germain replied “You cried the day that I read this to you, do you remember? Since that day, this book has been yours”. With this book, Camus was able to see the injustice of war and the actual people who were involved in these events, the human face if you will. It is clear to see that for Camus, it was not an option to join the resistance during the war; it was the just thing to do. His mother might not have haunted him like his father during his upbringing and search for his identity, but she did give him another perspective for his philosophy. 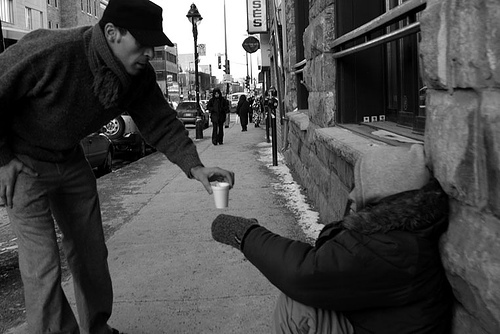 She showed him the working class, who did not have a good enough vocabulary to describe their suffering and struggles, put honor and dignity over everything. Camus once said that a mother represents humanity, I think that this was always his relationship with his mother, he loved his mother most of all. She was half-deaf, unable to speak more than basic exchanges, she lived in silence, in the menacing shadows of her own mother (a violent woman who would frequently beat Camus when he was a child). His grandmother was illiterate, ignorant and pig-headed; would never admit her wrong. Camus would lie when he was younger, he would tell them that he was being tutored and instead would go to the beach and enjoy life, one day he was caught and beat fierce by his grandmother; his mother came up to him and whispered words of compassion into his ear, I find that this story represents their relationship. I also believe that it is because of moments like these that he stated that he would always choose his mother over justice. As we can see, Camus was shaped by the life that he lived; his upbringing, his relationship to his father and mother and the country that he called home. 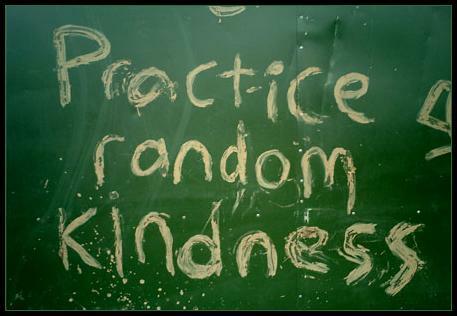 I have realized that this Metta practice will let me go back to my sources and see what has made me who I am. This is the only way that one can truly love themself, to learn our struggles and fears and hold them in loving awareness. I continue on this path and hope that I find my inner child and am able to discuss with him! Like Camus said : “L’homme que je serais si je n’avais pas ete l’enfant que je fus!”. What is happening in the Aceh region of Indonesia, the “re-education” of punks, most specifically the Aceh 64 who were taken from the city of Tamn Budaya has not been sitting well with me. I have to admit that seeing as how I have been a punk from an early age, the best form that I was able to find to express the isolation and anger that I was feeling, and my hopes for a better world, this has really struck a chord with me. 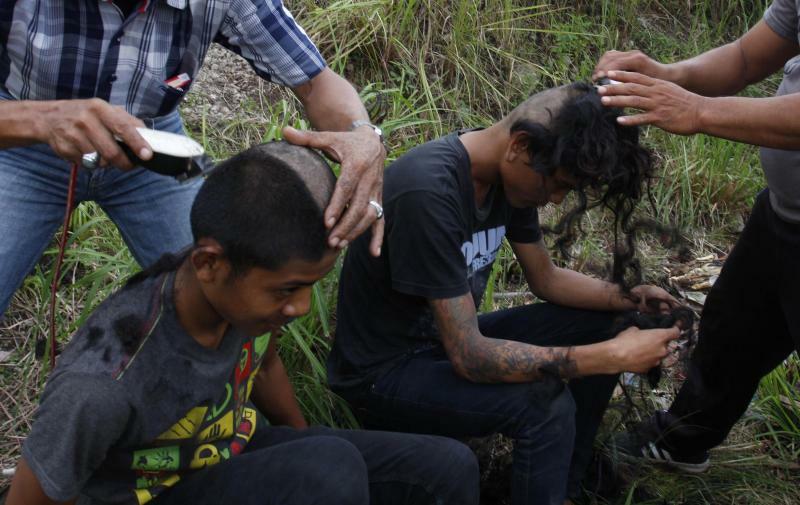 The Police in the Province of Aceh, Indonesia have, under orders of a religious fundamentalist government, rounded up punk rock fans and have shaved the punks heads, taken their dog collars, necklaces and chains and thrown them into pools of water for “spiritual cleansing.” The punks will now ‘spend 10 days getting rehabilitation, training in military-style discipline and religious classes, including Quran recitation. Afterward, they’ll be sent home.’ We can easily imagine how this must feel to receive this type of treatment, also if you are a fan of punk or metal or any similar music subculture, it hits home in a slightly different way than the other human rights cases that we have sadly come accustomed to ignoring in the West. I can easily empathize with the complete frustration and humiliation these ‘punks’ must feel as I have had a few brushes with bully ‘authorities’ who pretend they’re acting ‘in the name of the law’ but I have never, and hopefully never will, experience this type of human rights abuse by authorities of a state. 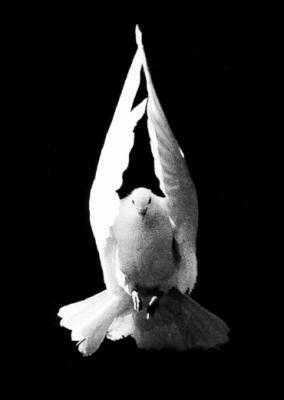 What is maybe the most interesting in all of this is the growing gulf between some particular official accounts of the detainment, and this is where I am starting to think that this might be an attack on the poor and that the street punks have simply become the face of this fight. Most authorities have all held the same line that punk is at odds with the teachings of Islam, they have claimed that these raids will continue to support their purpose of suppressing the growth of the punk communities and there are no plans for it to end anytime soon. It is untrue that the police arrested them. That’s not it. The truth is that the police are helping them develop [their skills]. Human Rights Watch however have very different views to the officials mentioned above in reference to what has happened. M. Choirul Anam from Human Rights Watch said: “First, they violated freedom of expression. Punk is only a way to express oneself, just like a person wearing a necklace. The punk kids do not disturb public order, so the police do not have to catch them.” Anam has also gone to declare that the way that the detainees have been treated go against the United Nations Convention against Torture and Other Cruel, Inhuman and Degrading Treatment or Punishment which Indonesia is bound to since signing it in 1985. The Aceh Police force has also not followed the due process of law. The punks were not given proper legal treatment, the police executed treatments without going through any legal channels. Human Rights Watch has also stated that there will be more human rights violations if they don’t proceeded this case legally. To everybody: If you believe in human dignity, autonomy, and the right for people to be able to make their own decisions- keep fighting for your rights and freedoms, as well as the rights and freedoms of others. There are many actions that have been happening in support for the Aceh 64, and there are many things that you can do to help. – Change.org has made a petition to advocate for their release. – The record label Aborted Society is collecting mix tapes and burned CD’s (no cases) to send to their fellow punks to help with morale. Maybe you can help out? – German punks Red Tape Parade have appealed for their fans on Facebook to send them spare gear to be sent out to Aceh punks in the near future, with their initiative, Up The Aceh-Punx. 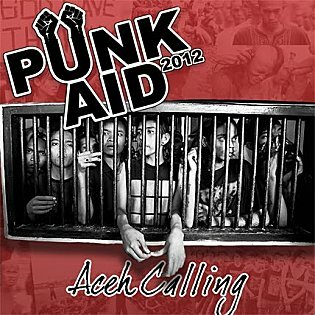 Here is a status from their Facebook page: ” I have direct contact to someone in Aceh, so now I’m asking all of you – no matter if you play in a band, write for a zine, own a label, or simply share our love for punk music and punk culture – to contribute stuff so we can send it over to Indonesia, to let our friends there know that they are not alone, and that “unity” is more than a catchphrase in a song. So, if you have CDs, zines, records, pins, shirts etc. you can give away please leave a comment and we’ll get in touch.” They are posting pictures of the donations on their Facebook page. Let’s keep the spirit alive!